Orson Welles decided to continue his love for Shakespeare's work in this fairly un-watched adaptation of "Othello". 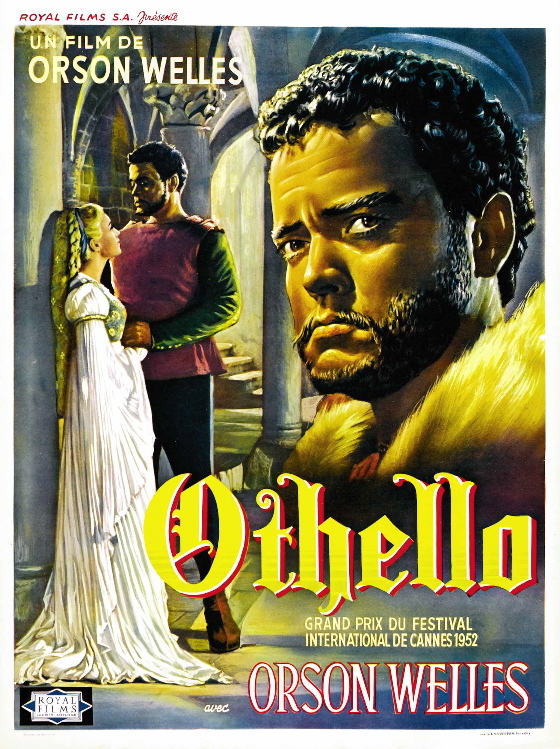 The shooting schedule was very bizarre for Othello since it was shot over the span of three years. No, not every every day of those three years was spent shooting. The scheduling was very erratic. The filming began in France however they went bankrupt. Finally, they finished in Morocco and Rome. There was much difficulty with the elaborate costumes being ready in time for the shooting. There is one scene where a character kills another while in a Turkish bath. Their costumes were not ready and it had to be shot in fourm. All in all, Orson Welles went through living hell to make this movie, and it turned out to be one of his worst. Oh and yes, Orson Welles does use black-face for himself when he plays Desmondo. There once was a solider named Iago who was consumed with hatred for a man called Othello. Othello was happily married to a woman named Desmondo. Iago hatched a plan to torment Othello. He decided to make Othello think that Desmondo was cheating on him for another man, named Cassio. As well, there is a man named Rod who desires Desmondo for his own due to her undeniable beauty. Rod and Iago begin to work together to end Othello's marriage. However, much to Rod's horror, Iago doe not just want to see Othello's marriage destroyed, he wants to see ever happiness in Othello's life to be crushed. This creates trouble in the partnership between Iago and Rod as Rod slowly begins to see Iago's insanity. SPOILER! At the end, nothing good comes out. Iago kills Rod as Iago begins to notice their partnership is dipping. Othello strangles Desmondo having believed she was cheating on him with Cassio. Iago kills his wife... for no particular reason. Othello stabs himself, since he is unable to live with his guilt. Finally, Cassio takes on Othello's old job and Iago is left all alone with no friends or family. 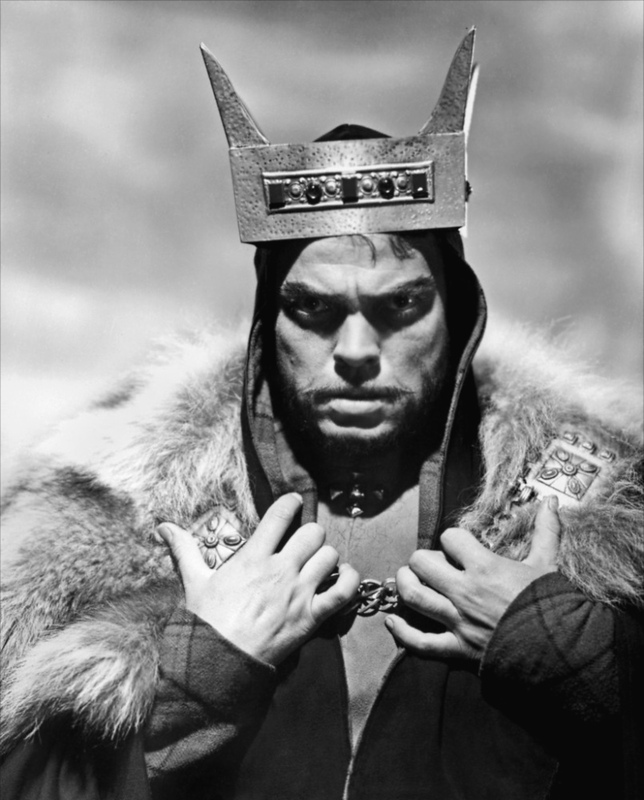 The Good: Orson Welles gives one of the best performances of Othello of all time. As well, the cinematography is dark and moody. Finally, every actor in the cast seems to truly understand their characters. The Bad: Othello is an uninspired adaptation of a fabulous play. It's very difficult to adapt this classic play into a film. Truffaut once said in his film Day For Night, "Making a film is like a stagecoach ride in the old west. When you start, you are hoping for a pleasant trip. By the halfway point, you just hope to survive." 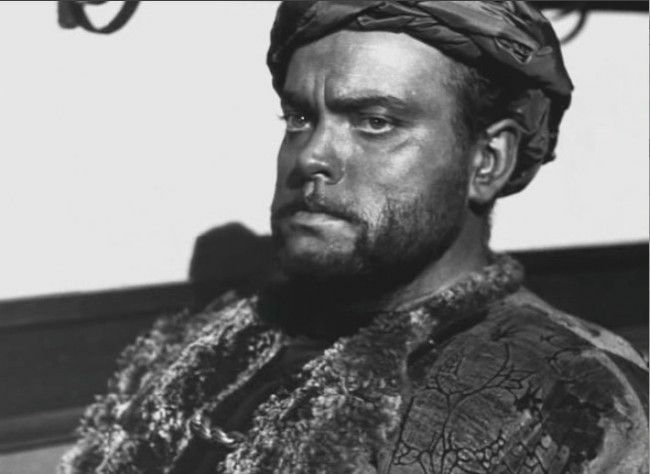 With all the difficulties the crew faced to finish Othello even a director like Orson Welles would consider giving up quality. The Ugly: The black-face job done on Othello was laughable! All Right Reserved. Watermark theme. Powered by Blogger.